*The stone wall discovered last year was about 10 meters in length. This year, as the team continues its excavation work, the length of uncovered wall now reaches 35 meters. 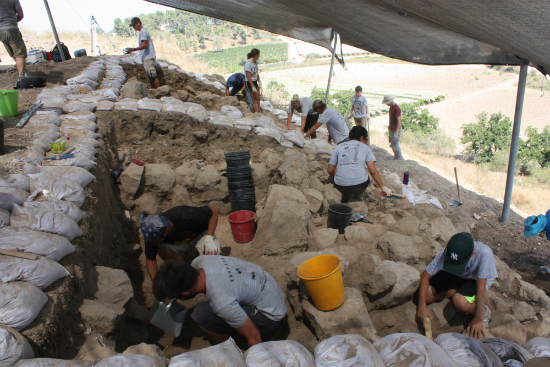 Last year, the “Korean Tel Lachish Excavation Team,” headed by Hong Soon-hwa (Director of Korea Biblical Geography Research Institute), discovered in the layered archeological site a stone wall presumably built during Rehoboam’s reign in 10th century B.C. (See related article link below.) 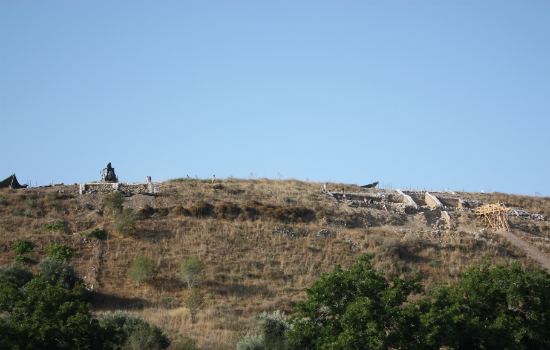 With the permission of the Israel Antiquities Authority, the excavation team has been digging in the area jointly with Hebrew University since four years ago. 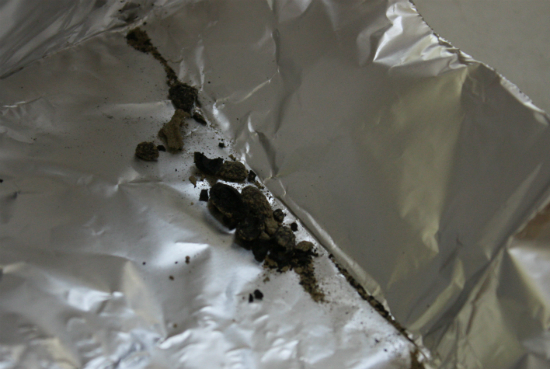 The team is authorized to do independent research on the excavation results. *On July 21 (local time), during its fourth excavation, the team found olive seeds that are presumed to be from the time of Rehoboam. Like the pieces of earthenware and bones, these 20 seeds are expected to be strong evidence in estimating the period of the site. 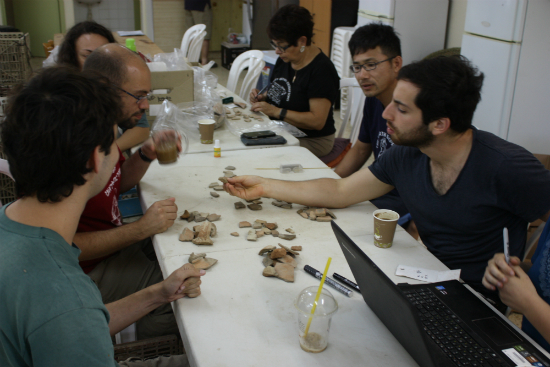 *Members of the excavation teams gather at the base camp to evaluate the earthenware pieces dug out from the excavation sites. *The Korean team and U.S. volunteers excavate the extended part of the stone wall.